A memorial visitation for Mr. Gerald George Segebrecht, 64, will be from 3 to 8 p.m., at Ahlgrim & Sons Funeral & Cremation Services, 330 W. Golf Road, Schaumburg. Born April 8, 1940, in Elgin, he died Thursday, Sept. 2, 2004, at home. Interment will be private. Jerry graduated from Northern Illinois University. In 1963 he began his teaching career as a business education teacher and basketball coach at Shannon High School in Shannon, Ill. In 1971 Jerry moved to Schaumburg and began teaching and coaching at James B. Conant High School until 1973. 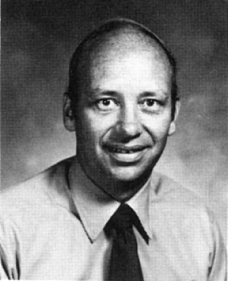 In the fall of 1973 he went to work for the new Hoffman Estates High School, where he taught business and became the first head basketball coach. Jerry continued at Hoffman Estates High School until 1979, when he then returned to Conant High School where he taught and coached golf until retiring in 1998. In lieu of flowers, memorials would be appreciated for the Gerald Segebrecht Memorial Fund for James B. Conant High School, c/o Harris Bank, 1400 Gannon Drive, Hoffman Estates, IL 60194. Published in the Chicago Suburban Daily Herald from 9/5/2004 - 9/7/2004.